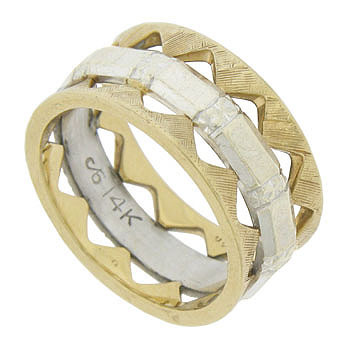 This unique 14K bi-color wedding band features a faceted white gold central ring adorned with simple floral engraving. 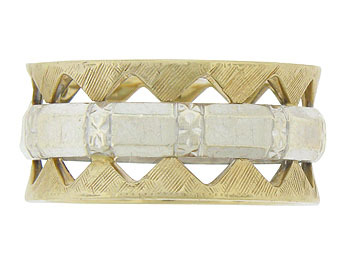 Broad yellow gold bands featuring bold triangular cutouts press into the white gold ring on either side. Simple diagonal engraving decorates the surface. The ring measures 8.82 mm in width. Circa: 1940. Size 5 3/4. We cannot re-size.